This photo was taken at the Tapestry House in Fort Collins, Colorado. Katie and Brian had a beautiful summer wedding there in 2013. 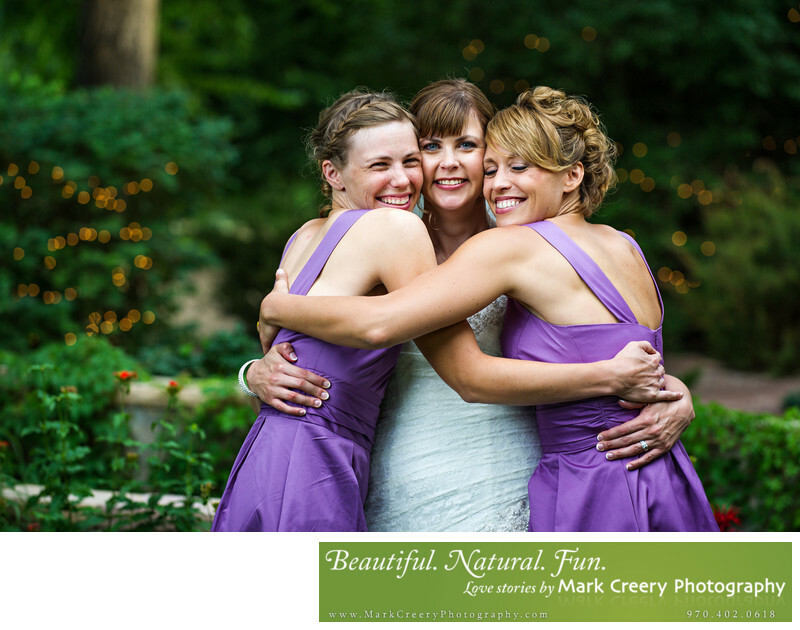 In this photo Katie and her sisters got together and showed their love for each other in a playful and spontaneous pose that I just let happen and captured. I photographed the background to be soft and out of focus to not distract for the moment and to create some beautiful twinkles of light in the bushes. Location: Tapestry House, Fort Collins, Colorado.